Christmas break is here! 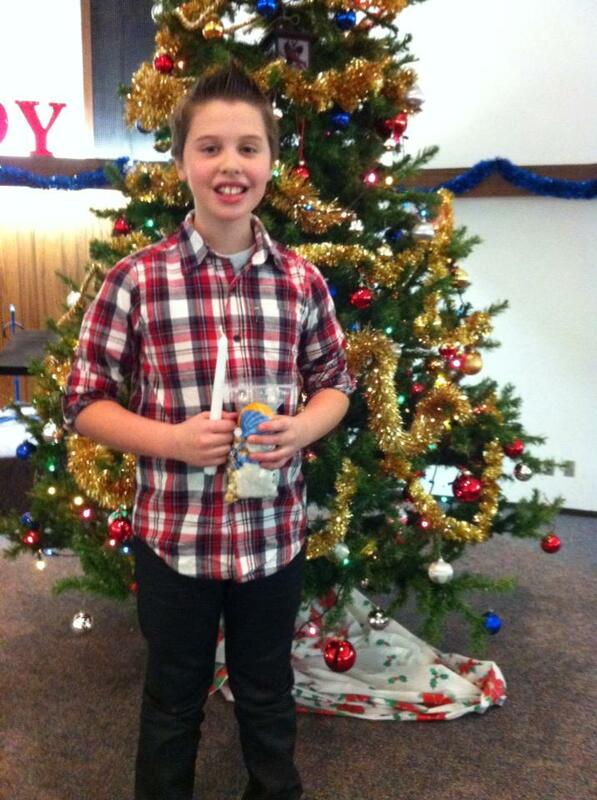 We’ve had so much fun this week in our master classes and are now officially finished until January 6th! Then we spent part of our class composing. The older students were able to review what a motive was (a musical idea) while the new students got their first taste of composing…a great jump-start to our January composition spree! 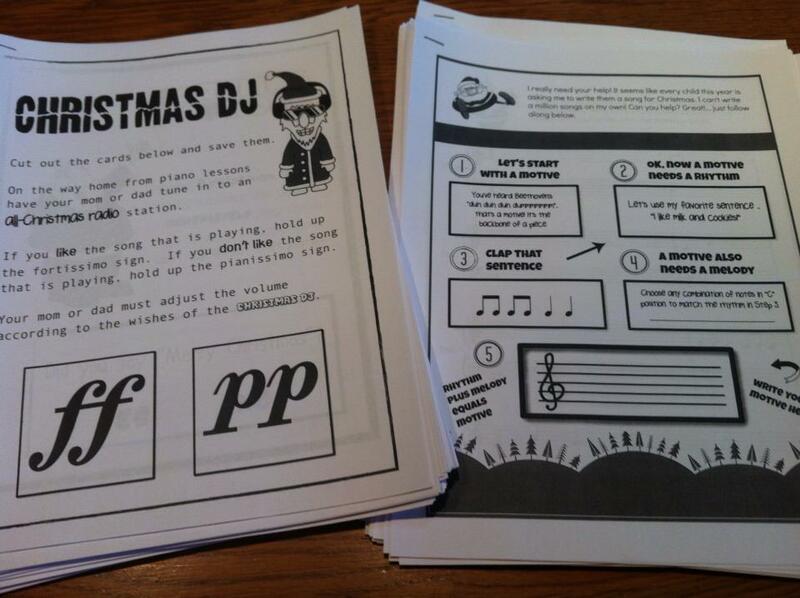 The students were also given a Christmas fun handout I received as a gift from Teach Piano Today, designed to keep them playing the piano over the break–not practicing–just playing! 😉 If you missed the master class due to illness or otherwise but would still like the handouts to try out over the break, please let me know! You are welcome to come by and pick them up. We had solo time, of course, and then played a rousing game of Stinky Stocking with a musical theme that involved sight reading, ear training and musical charades! The students just loved this game and I was so glad I purchased it from composecreate.com. 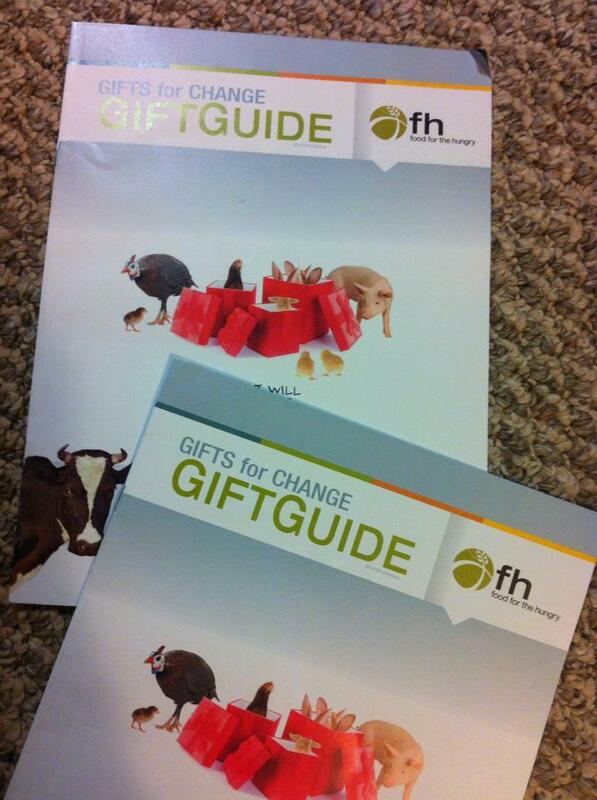 We also chose gifts from the Food for the Hungry catalogue. Thanks to 10,000 minutes of practice and extra pledges, the students raised $295 in just three weeks! The students practiced over 10,000 minutes during the three weeks prior to recital. 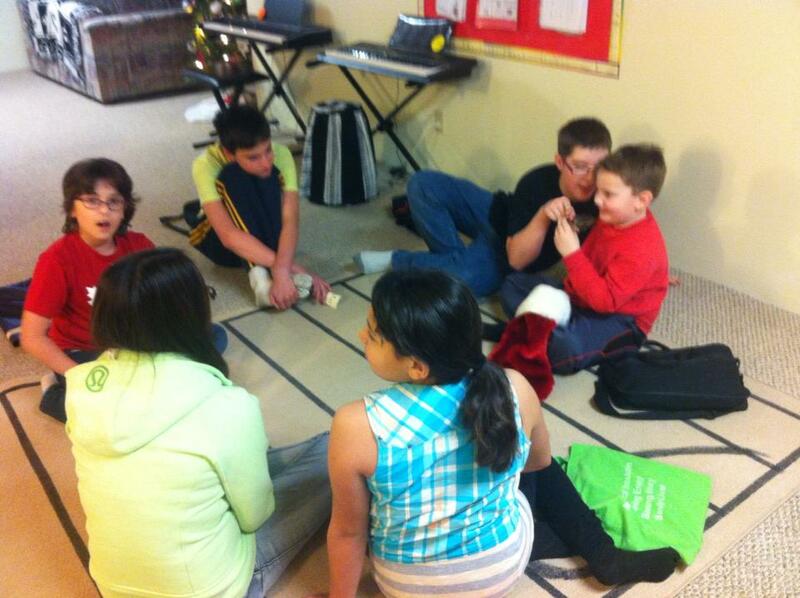 They were practicing for pennies in order to raise funds for Food for the Hungry. I sponsored each child at one penny per minute but thanks to extra pledges from Brennan, Rowan, Hope, Patience and Caleb, we raised $295!!! So, each master class got to spend a few minutes choosing and voting on gifts to send from the Food for the Hungry gift magazine. What fun we had choosing chickens, fruit trees, school supplies, sports equipment, art supplies and clothing to send! We also had a peek at the final installments of the December Videos of the Month! 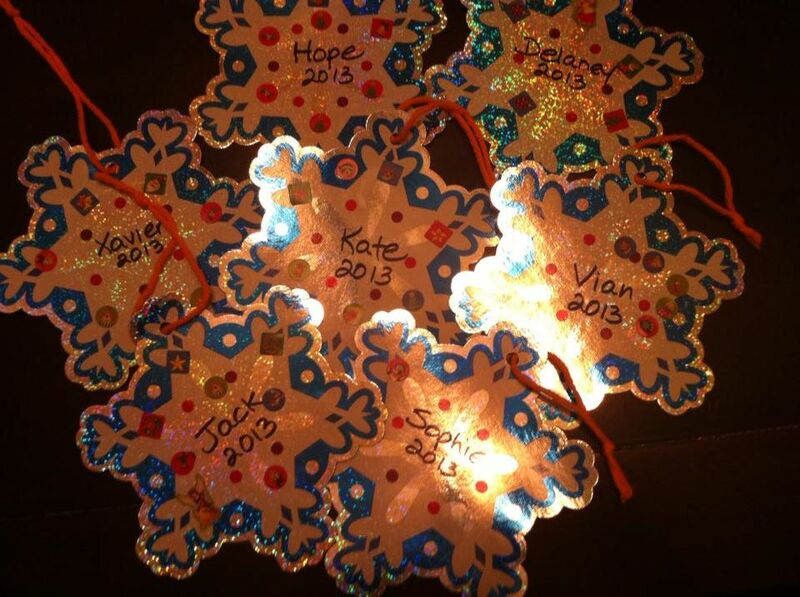 And we took our practice snowflakes off the tree to take home…hopefully they will be a reminder of all the hard work that has been accomplished over the last several weeks! I was overwhelmed with love and gifts and thank you all for the beautiful treasures and delicious treats! 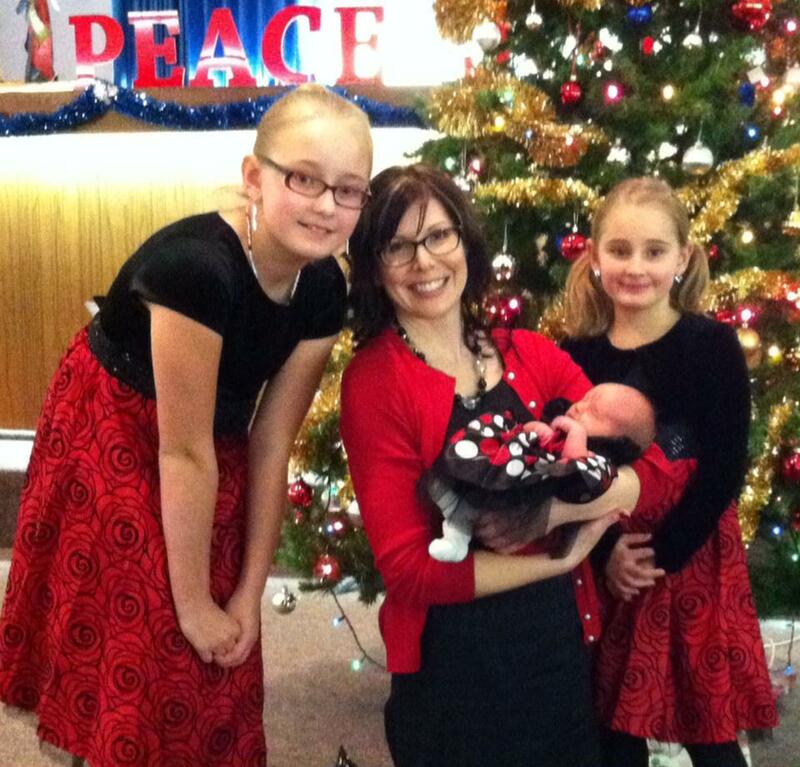 I hope you all enjoy a well-deserved Christmas break filled with love and family! I am looking forward to it myself but I also look forward to seeing you all back here again in 2014! So this week is masterclasses and I have been sharing video 3 and 4 along with some composing, games, spending our Pennies for Practice in the Food for the Hungry gift catalouge and sharing some fun piano “play” ideas for over the Christmas season! We’ve been having a lot of fun. But especially fun has been sharing these two videos. My students enjoyed the different sound of The Piano Guys “We Three Kings”….noticing especially the unusual meter of it! They spend some time trying to figure out the time signature and if it was truly different from the regular 3/4 time it is normally written in. My favorite reaction of the week was to the Rudolph Merry Christmas. When one of my little students saw it, she said, “Oh my gosh! He’s going to kill himself!” We all had a good laugh because this video was more just for fun! Enjoy! We did it! We survived yet another recital! 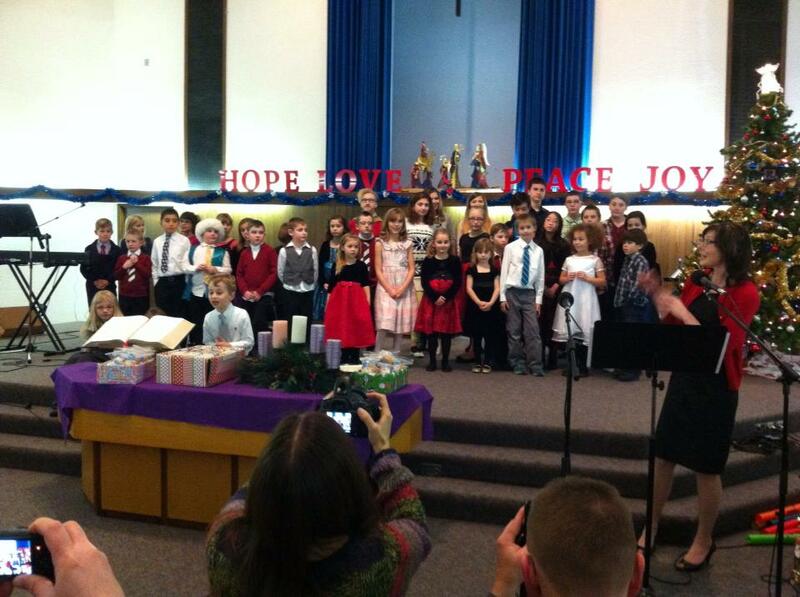 Our 13th Annual Christmas Recital on the 13th of December in 2013 was a rousing success! Despite the fact that I had a typo on the program (even after all the checking and double-checking) and I forgot about two MC’s, we had a wonderful celebration of music! I am so proud of my students and their hard work over the past several weeks! I was able to announce at the recital that, in response to my Pennies for Practice challenge, my students practiced over 10,000 minutes in the last 3 weeks! Isn’t that amazing?! And because of that, more than $100 was raised for Food for the Hungry!! We will spend a little time during our master classes next week deciding what gifts to send to which countries! But for now a few pictures and video clips of the recital for those of you who missed it….and for those of you who might like to see a bit of it again. 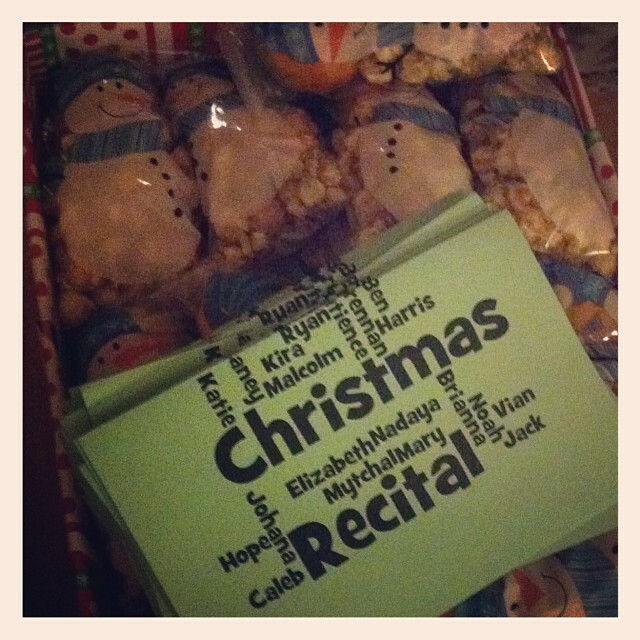 Even though it was a piano recital, we had a couple rhythm and vocal ensembles. Rhythm instruments and our voices are a part of each and every group lesson as well as private lessons as we work on rhythm, sight reading and ear training. So this just seemed a fitting way to express our Christmas wish! And, yes, I played a piece as well. Here is a recreation of it done in my studio at home as I completely forgot to ask someone to record me. And I could not have done it without the help from all of you! Thank you, Stephanie and Jason, for help with microphones and set up, thank you all who brought such delicious food to share, thank you MC’s for introducing ensembles and telling jokes, thank you students for your generosity and courage as you shared your music with us, and thank you to my little assistant, Dexter, who helped fold programs and stuff treat bags!! Merry Christmas to all! This Wednesday’s Wisdom is brought to you by a very dear friend and inspiring colleague of mine and are so good to keep in mind as we are only two “sleeps” away from our big Christmas Recital Extravaganza! I thought I would wait until our December masterclasses to reveal our December 2013 Video of the Month! But there are too many to choose from, and frankly, we really only have a short window of time to listen to Christmas music each year. So…..over the next couple of weeks I am going to post some of my favorites and we will vote on which one we think should be video of the month! 😉 I’m starting with The Piano Guys! This video was released just last Friday, and I was tempted to stay up Thursday night just to be the first to see it! I did not make it all night but in the morning when it was finally released, I was not disappointed! 🙂 So, for those of you how haven’t seen it all over Facebook yet, here it is. And for those of you who have seen it, I challenge you to watch it again BECAUSE it has several tunes embedded in it and I am wondering if you can names all the tunes?! 😉 Let me know if you can! !